In May of 2013, as part of its focus on giving back, MPulse Software, Inc began working with Rivers of Recovery, a national non-profit organization providing outdoor recreational rehabilitation programs to combat veterans. To date, MPulse has contributed over $2100 and more than 100 hours of volunteer time to help bring these valuable programs to veterans in Oregon and around the country. During September 2015, we were proud to once again support their efforts by helping host a veterans trip near Eugene, OR. 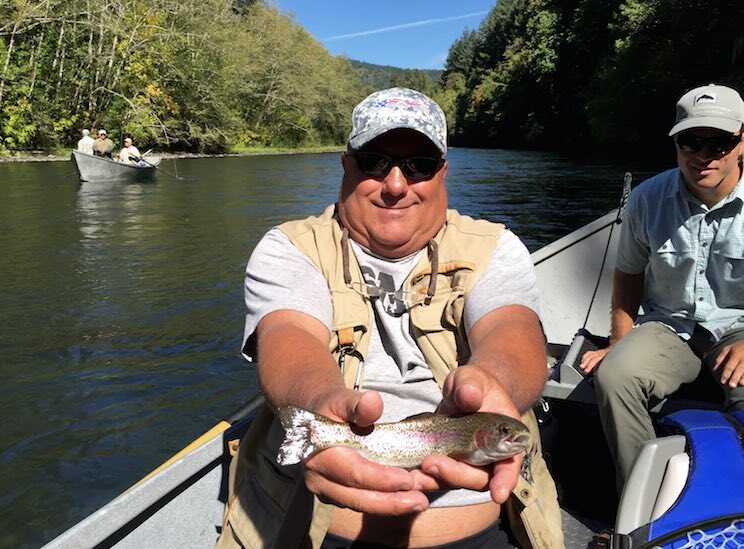 This year’s trip, September 18-20, provided the opportunity for 5 veterans to enjoy 2 full days of fly fishing on Oregon’s famed McKenzie River, with guiding and accommodations provided by Eugene’s Caddis Fly Shop. Rivers of Recovery was formed in 2008 by Executive Director, Dan T. Cook, as a means to help combat veterans overcome the invisible scars of war. They employ medically-designed curriculum coupled with outdoor recreational activities to treat combat veterans suffering from PTSD, minor traumatic brain injury (TBI), stress, anxiety, and depression. To learn more about Rivers of Recovery or to make a donation, we encourage you to visit their website at www.riversofrecovery.org. Want to follow updates about MPulse? There's plenty of ways to keep up-to-date. Sign-up to receive updates from our blog directly in your inbox.